Meeting with Russian Railways CEO Oleg Belozerov. 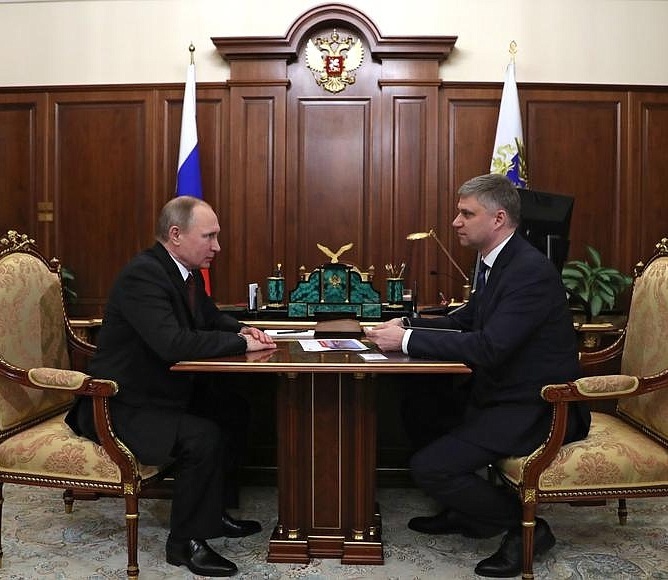 Putin.BLOG Transport Meeting with Russian Railways CEO Oleg Belozerov. Vladimir Putin had a working meeting with Russian Railways CEO Oleg Belozerov. The discussion focused on the company’s performance in 2016 and plans for 2017, including the growth of cargo turnover and productivity and the implementation of key investment projects. 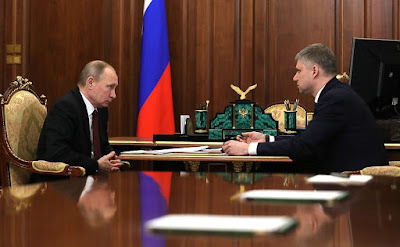 Vladimir Putin and Oleg Belozerov in Kremlin. Mr. Belozerov, we have touched on this before, but we need to talk in greater detail about the company’s performance last year and this year’s nascent trends. I am sure you can provide figures on your cargo turnover and achievements in the passenger segment. Mr. President, I would like to begin by expressing gratitude for the attention you pay to the work of Russian Railways. The past year was complicated and unusual but very interesting. Cargo turnover increased modestly last year, but we reported a record increase in the freight rate, which reached 2.3 trillion tonne-kilometres. This is the first time we can report this result in Russia’s modern history. We have also overcome the negative trend in passenger transportation. The number of passengers we carry in intercity and commuter transportation has increased. I would like to thank you for last year’s unprecedented decision on passenger transportation, that is, a zero VAT rate. This decision will allow us to modernise our rolling stock. This has also created conditions for formulating a long-term rate policy through 2030. In other words, we now have a sustainable passenger transportation model. Thank you very much. Our labour efficiency, which is a very important indicator, has grown by 5.4 percent, which is above our target of 5 percent. We updated our performance figures in January and can report a net profit of 6.5 billion rubles. Thanks to reducing the prime cost of transportation, we have paid 430 billion rubles in taxes, including 161 billion to regional budgets, and saved over 10 billion rubles on acquisitions. An increase in labour efficiency is a very good achievement. Well done. As far as the investment programme is concerned, all key projects are proceeding according to schedule. 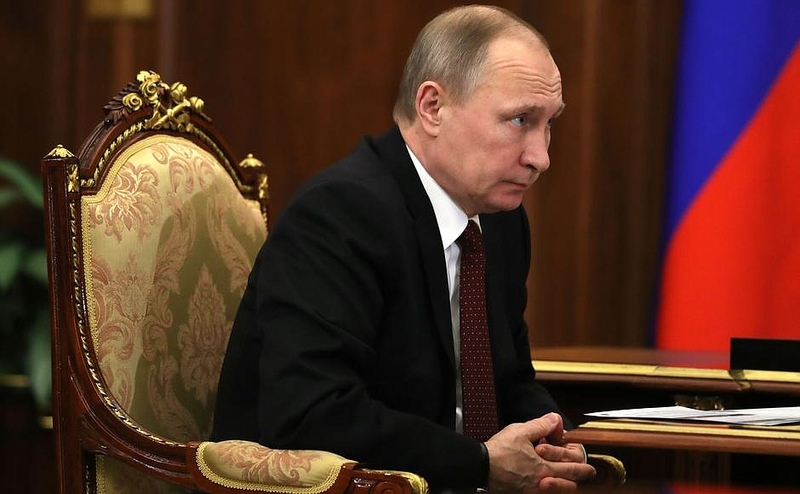 This includes modernisation of the Baikal-Amur Mainline and the Trans-Siberian Railway, access roads to the ports in the Azov Sea and the Black Sea, and the construction of the Zhuravka-Chertkovo-Bataisk railway. As of January 1, 2017, we performed over 233 billion rubles worth of works at the Baikal-Amur Mainline and the Trans-Siberian Railway. This year we will cross the halfway line of the project. However, the main result of the previous year is that we again managed to save over 8 billion rubles on special assessment of our design solutions. I reported the same result for 2015. This means we have already saved over 16 billion rubles. 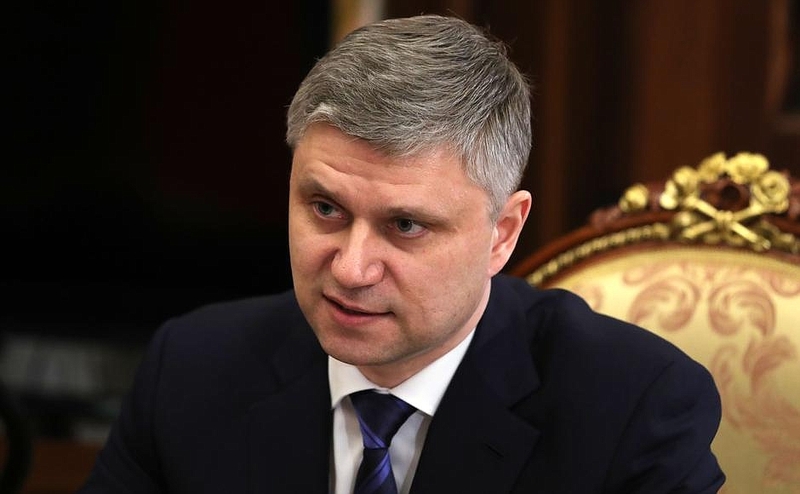 Regarding access roads to the ports of the Azov and Black Seas, work continues as scheduled. As of January 1, 2017, we completed a work scope worth 35 billion rubles. Thus, the major part of the project will be finished by 2019. Now for the Moscow-Adler railway bypassing Ukraine. As of the beginning of the year, we performed more than 25 billion rubles worth of work. We plan to finish the project this autumn, which is one year ahead of schedule. January was quite an unusual month. The cargo amounts have increased by over 6.5 percent. However, most importantly, the freight rate has grown by over 11 percent. Our exports have increased by over 12 percent. Transit activity is recovering quite intensively at over 30 percent, while large-tonnage container transportation has increased by over 33 percent. The project we presented together, the Moscow Central Circle railway, continues to set records. Right now, we carry 333,000 passengers daily. We agreed with the Moscow City Government to improve our performance by increasing frequency and using the latest technologies. This should give another boost to the system. We spoke earlier about concessions for certain categories of passengers, including schoolchildren. Do you have plans with respect to their holiday breaks? Yes, we do. We decided to provide a 50 percent discount on private compartment tickets during the spring break. Earlier, the discount was only valid for open compartments. We hope this will create better conditions for family travel. This is an innovation we are launching this year. President Putin and Russian Railways CEO Oleg Belozerov. Russian Railways CEO Oleg Belozerov. 0 Comment to "Meeting with Russian Railways CEO Oleg Belozerov."